Tempaltesme.com - Viral Go! Responsive Blogger Template is a cool template with responsive design and of course SEO Friendly, with the appearance of the grid on each article giving a nice and cool impression. I share this viral go premium template for free. buddy just download it .. Viral Go! Theme index page display made into a grid layout with a sidebar and for the post page, two column posts and a sidebar are created that will make it a special attraction for visitors to linger on our blog. For you blogger friends who use the blogspot platform, here I will share the Viral Go! Template. which is SEO friendly and supports Responsive that can be used on your blog. 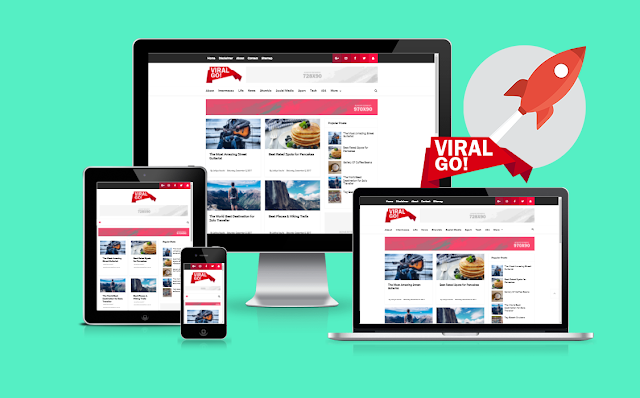 0 Response to "Viral Go Responsive Blogger Template"